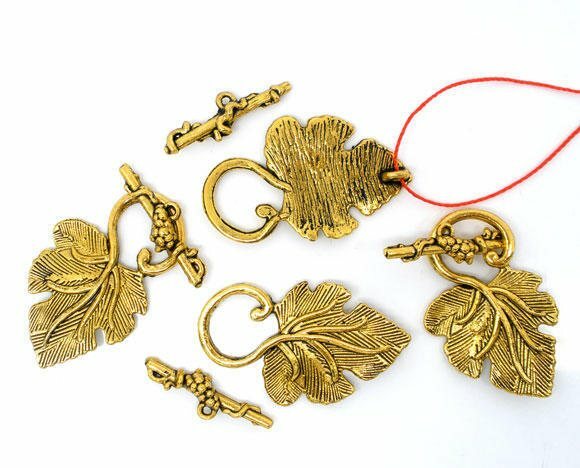 10 Beautiful large sized antique gold plated grape leaf toggle clasps, zinc metal alloy (lead and cadmium safe) and perfect for your vintage style or flower garden designs! The bar has clusters of grapes in the center. 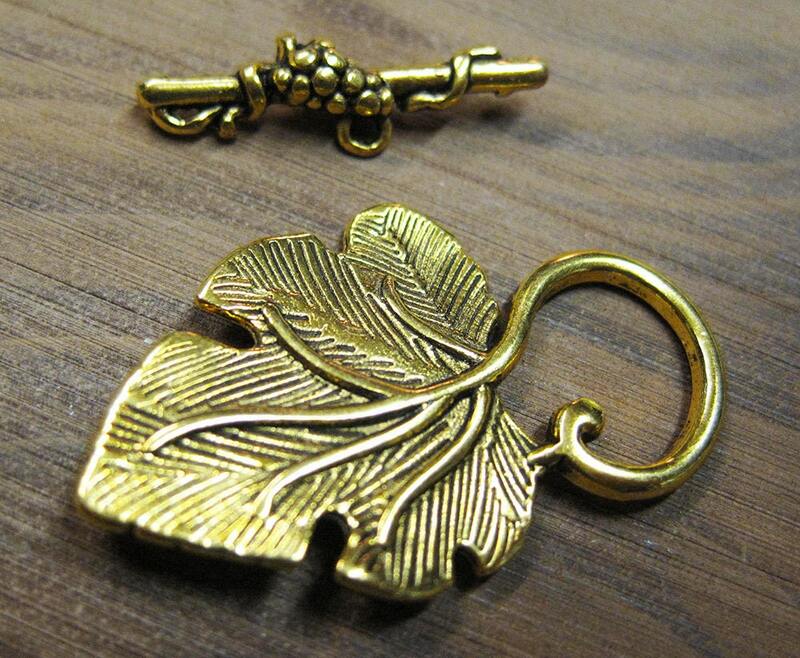 The toggle ring has an elaborate large grape leaf with a vining loop - it measures 37mm x 23mm. 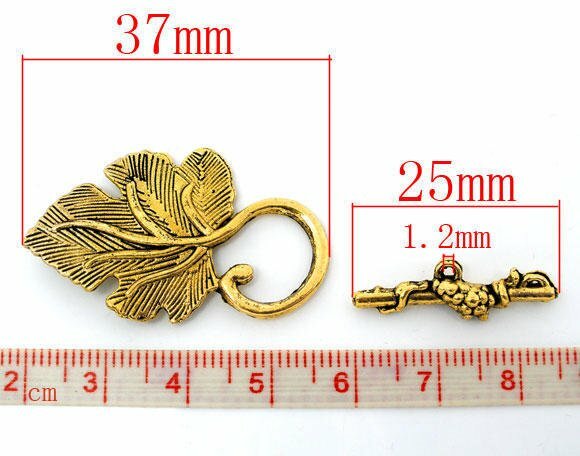 You will receive 10 clasps with this listing. 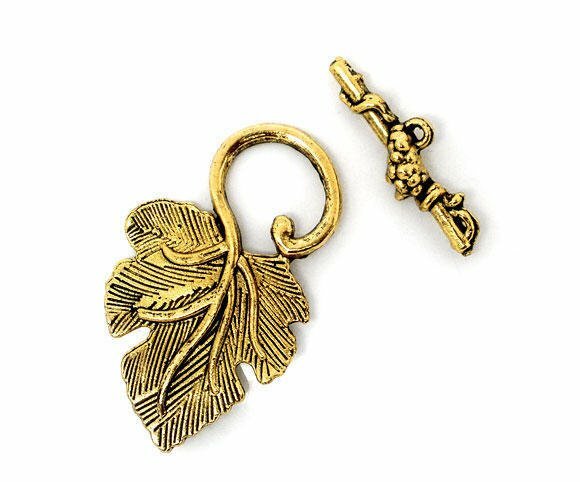 These are so elegant is so affordable. I t's already a new favorite. Exactly what I was looking for, and prompt shipping. It was a win - win.